Do you know someone who was in Budapest for dental care and returned to home proudly with a brand new smile? Every year thousands of dental tourism patients fly to Hungary from English-speaking countries, such as Canada, the UK, Ireland or the USA. They visit the beautiful city of Budapest, capital of Hungary, and get their teeth fixed while doing so. 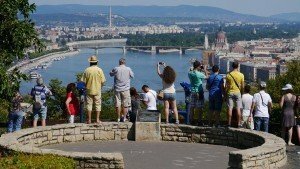 Recently, a new trend has been developing, as tourists from France, Switzerland, Germany in addition to Austria are now visiting Hungary since local dental treatment fees are very high in these countries. 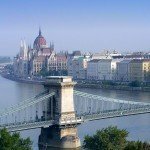 So, what makes Budapest so popular? The two most important reasons are obvious: quality dental & medical care associated with important financial savings. Foreign patients can save up to 70% on dental care in Budapest in comparison to Western European prices, with the same quality, if not higher. Indeed, low-cost without high quality means nothing to patients who know that their health is on the line. And savings are in the lower prices, but also in the tax refunds or social security reimbursements. Indeed, most of the dental patients increase their savings by tax refunds and social security reimbursements paid to them in their own countries as per the documents detailed below of dental treatment in Budapest. For instance, Irish patients can have a 20% tax relief in Ireland after treatment in Budapest with a simple step: handing in the MED 2 form to the local tax office. You can read more about the process of claim relief on Budapest dental expenses in Ireland here. This page also includes all dental treatment costs on which you can claim tax relief. Settlement of refunds is at the end of the tax year. In France, patients can have a preliminary assessment from Social Security about the reimbursement after dental care in Budapest. To obtain this, they have to submit a planned quotation with so-called CCAM codes to Social Security and the query is answered in 2-3 weeks. Patients usually search on their own to find out how much reimbursement they receive after each treatment on Ameli.fr. Upon request, Hungarian dental clinics provide you with the documents for getting an assessment from the Social Security. With this information from the Social Security, patients can plan more accurately the costs and savings on Budapest dental treatment. When treatment is completed, the official form is supplied by the clinic, and you can submit it to the Social Security for reimbursement, along with invoices and X-rays taken before and after the treatment. It is important for French patients to submit the original record of “Soins reçus à l’étranger” to the Social Security (no digital record or copy will be acceptable). These refunds are possible because Hungary is part of the European Union. Other dental tourism destinations that are not part of the European Union do not make it possible for French and Irish patients to claim government regulated tax relief after dental treatment in Budapest. There are patients from other countries like Switzerland, Belgium or the UK and the United States where there is no automatic government regulated refund after dental care in Hungary. These patients, however, often enjoy private health insurances. When they do, costs are partly covered by these service providers. These insurance companies usually work with different rules, but the principle is, that they cover a certain amount of your dental care every year. In order to provide a refund, they need a detailed medical record of patients’ status from the dentist, explaining why that particular treatment is necessary, X-rays taken before and after the treatment and a form of the insurance company that is supplied by the dentist. Dental clinics in Budapest prepare documents for refunds and reimbursements for patients (upon request). Patients usually come to Budapest for complex restorative dental care where worn, damaged or lost teeth must be treated or replaced. The most frequent treatment patients ask for is the placement of dental implants. The average cost of a lost tooth replacement which includes an implant also known as a screw, an abutment and a crown in the UK and Ireland is around 2,500 – 3,500 EUR. Prices depend on implant types, dentists, and location. In Budapest, the same treatment is available between 950 – 1,400EUR. If someone needs more teeth replacements, it can be solved with a bridge. For example, a 4-unit implant retained bridge with two implants as pillars at the ends cost 5,500 – 7,500EUR in the UK. The same treatment in Budapest is 2,400 – 3,000EUR. If you need a full mouth restoration with an implant supported denture to one jaw, known as an All-on-4, you can be quoted in England and Ireland in between 9,000 -13,000 EUR without sinus lift and bone grafting. In Budapest, clinics carry out this kind of treatment for 5,500 – 6,500 EUR. Cosmetic dental treatments are also very expensive procedures in Western Europe, so patients can save a lot if they have a smile makeover in Budapest. Smile makeovers are usually performed by zirconium or full porcelain crowns or E-max porcelain veneers fitted on front teeth. In Hungary, the average price of a zirconium crown is around 330 – 400 EUR, just like E-max veneers, while full porcelain crowns are around 430 – 500 EUR. These prices are roughly 40 – 60% lower than Western Europe dental rates. If you take into consideration that a smile makeover takes 8 – 16 pieces of crowns or veneers fitted on the front teeth, then you can calculate that you can save thousands of EURs on this kind of care as well. It is also a very significant advantage of Budapest dental care that treatments can be performed within a very short time frame. Treatments in Budapest are completed in a few days compared to patients’ countries where the same care might last for weeks, often for months. However, it must also be taken into account that if you are away from home, you need to take days off from work and you have additional costs for flight tickets and accommodation such as hotels or an Airbnb. Dental clinics are also aware of this and are prepared for the treatment of foreign patients, and even the most complex treatments can be carried out in 5-7 workdays. For example, a full-arch bridge where no placement of screws is needed can be made in 5 days. If you need oral surgery, like bone grafting or a sinus lift for replacing lost teeth with implants, then it usually can be done in 2 visits to Budapest over 8 – 10 days. 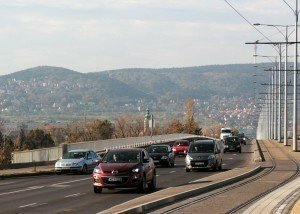 The first 2 – 3 days are for oral surgery and placement of implants, and, after a certain period of healing time, you can return to Budapest for the second visit, for fitting crowns or bridges. Budapest is a very popular city, lots of tourists and travellers come here only for visiting attractions. So, patients can easily combine treatment with a holiday, in a city in the heart of Europe with more than 1,000 years of history. 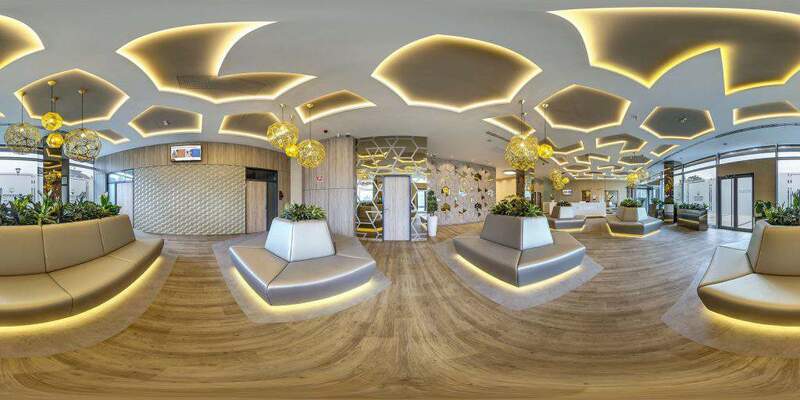 Those clinics that are specialized in the treatment of dental tourists often help them combine treatment with an unforgettable holiday, in addition to providing services. These clinics organize your free time activities or book you theatre or other tickets, upon request. There are so many attractions in Budapest that even those who have more dental care visits here will not be bored at all. As Budapest is the land of thermal springs, spas are enjoyed by elderly patients. Budapest is also famous for its nightlife, so younger patients will find lots of places to spend time at, too. Be your favourite place a casino, dance bar, jazz club or a local pub, you can be sure you will find your place. There are so many restaurants in Budapest where you can try the world famous Hungarian goulash „gulyás” and Fishermen’ soup „halászlé”, do not miss them. Dental clinics usually send patients the list of appointments weeks before their travel, so you can plan and organize your free time activity. Appointments are never longer than 2-2.5 hours a day, this way, patients have enough time left for sightseeing. Some clinics provide free services for patients like hotel – airport transport services upon their arrival and departure, and book accommodation upon request at partner hotels at corporate rates that are lower than retail prices. Dental tourism to Hungary is so widespread that some Budapest clinics already have British or Irish dental clinics or at least partnerships with clinics abroad. It is usually for minor aftercare or dental consultation purposes. Frequently, patients send over their good quality panoramic X-rays by email to a clinic, and they make you a treatment plan on the basis of the X-ray. These quotations are not perfectly accurate, but you must not forget that it is very hard to make a quote without a medical examination. It is also important to emphasize that if you need dental implants, a 3D scan will also be needed for an accurate quote. A 3D scan shows the status of your jaw bones and sinuses, and this will allow the dentist to prepare a 100% accurate treatment plan and decide about the necessity of sinus lift and bone grafting. There are clinics that are specialized in the treatment of foreign patients, usually big ones, with 5 – 8+ dental surgeries. These clinics provide patients with a high quality treatment with the latest technologies, so it takes a lot of investment to make available this high quality service. In order to make this kind of service profitable, they have to operate more dental chairs in the clinic. It is also a priority to operate these dental chairs with the highest possible occupancy rate, so they co-operate with dental tourism agencies. These agencies also sell the services of these clinics without a price increase. Some of these agencies are not located in Budapest. The agencies that are Budapest-based usually work for one clinic, but those who are abroad usually work for more clinics, and sell other types of medical services as well. If you are in search of dental care in Budapest on the internet and find a dental tourism agency, do not hesitate to contact them. 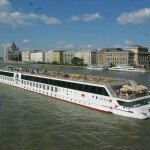 As they are dedicated to your comfort and safety, they will also support all aspects of your trip to Budapest, including treatment options, flights, transport services and accommodation, and make sure the result of your treatment meet or exceed your expectations. The quote you receive should clearly inform you of the treatment proposed, the number and length of visits, dental materials used, unit prices and costs, guarantee conditions and payment terms. If you have questions left to clarify after studying the quote, do not hesitate to ask the clinic representatives. If all your questions are answered and you think you found the clinic where you want to be treated, some research is still advised. It is important to avoid communication problems, so it is worth finding out if dentists and clinic staff speak your mother tongue or the language you master very well. It is possible that there are translators at certain clinics to help communicate. Make sure that, after your treatment is completed, you have all the dental papers you need, in addition to the invoices and documents necessary for your refund. These are the following: a treatment record that proves what treatment each tooth received, an implant passport that includes all data (brand, type, size) of your implants placed, X-rays taken before and after the treatment and, last but not least, guarantee conditions in written form. Ask if you can have pictures taken by an oral camera of the main stages of your treatment. It helps your local dentist understand the treatment you received in Budapest. If a clinic agrees to taking pictures of the main steps of your treatment and it is allowed for you to take the images with you on a disc, it is also a proof of high quality. It is also a key issue to know what happens if aftercare is needed within the warranty period. Where will aftercare be performed, who meets the expenses of the aftercare, travel and accommodation? It is good to know that in order to maintain guarantee conditions, you need to show up at the annual check-ups. Some clinics provide a special service for foreign patients that is called a consultation package. It is the best way to get to know the clinic, facilities and your would-be dentist. If you book a consultation at your preferred clinic, then you will have a medical examination and a panoramic X-ray will be made, and, as a result of the process, you will have a 100% accurate treatment plan. You will be provided one night of accommodation and airport transfers. Some clinics provide this whole package free and without any obligations, while others only provide it free if you commence the treatment in a certain period, and others charge you only a fraction of the real cost of the package. 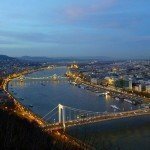 If you happen to be on holiday in Budapest and want to make an appointment instantly for consultation, it is recommended that you book it a couple of days ahead, so that you can see a dentist who is the expert of your dental needs, and not one who is just available, as these clinics usually work with waiting lists. These consultations are free at the majority of clinics. It can be an emergency solution. 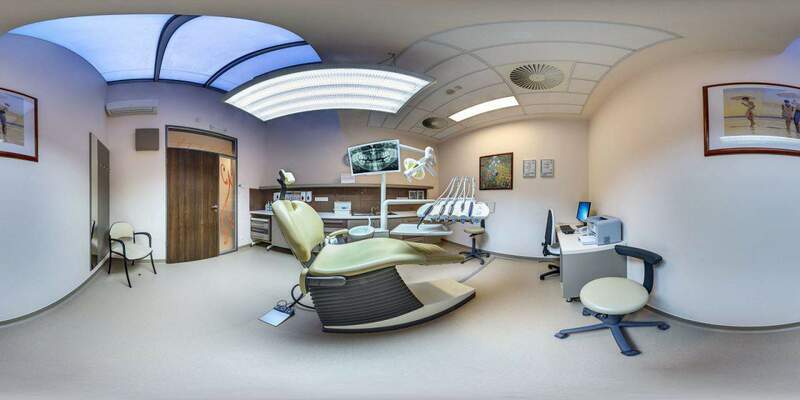 If there is no available appointment for a consultation in the period you are in Budapest, then you can ask the clinic just to take a panoramic X-ray of your teeth, and in a couple of days you get the quotation by email. It is also a free service at most of the clinics. So, dental treatment in Budapest can be an attractive option, but before you take a leap to the unknown, it is advised to do some research. You can gain a lot if you are treated there but, in order to avoid surprises, take your time and look into all details relating to your planned treatment. 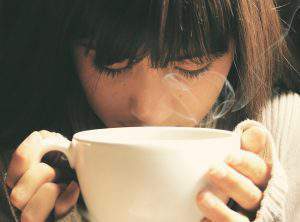 This article is very well and also great to be published on this site. In Holland we have already started medical tourism (beginning with dental tourism) and we represent MDental in Holland. On our site http://www.dmc-kft.eu all needed information and official links are available. We have already send some patients to Budapest and they were very happy with the treatment and the beauty of Budapest. We keep on promoting Hungary in Holland!